Cindy Needham: Great Blog Post by Sherry Smedley! Great Blog Post by Sherry Smedley! 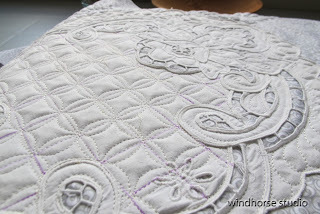 Last year when you taught a tutorial for sewcalgal on her FMQ challenge 2012, I fell in love with your use of old linens. 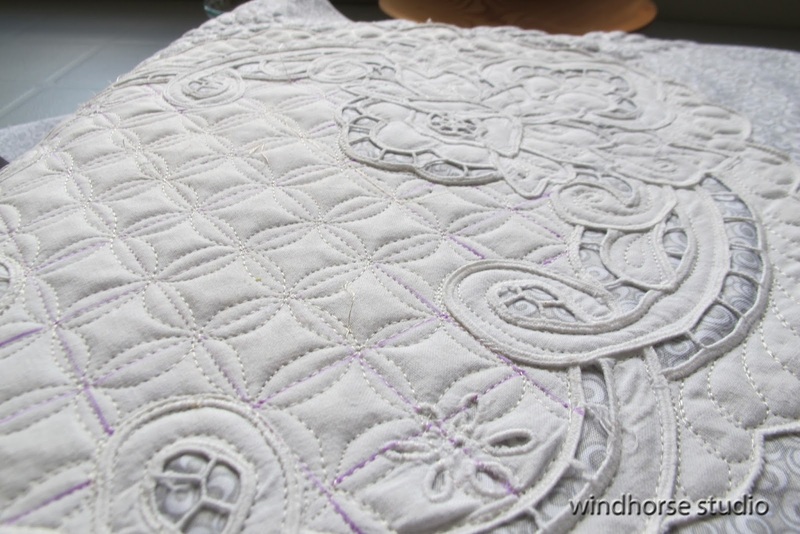 I just wanted to show you what I did with an old cutwork piece. Beautiful! What a fun idea to attach it to a table top - I loved this.